Great property for investors! Currently rented thru July 2018. 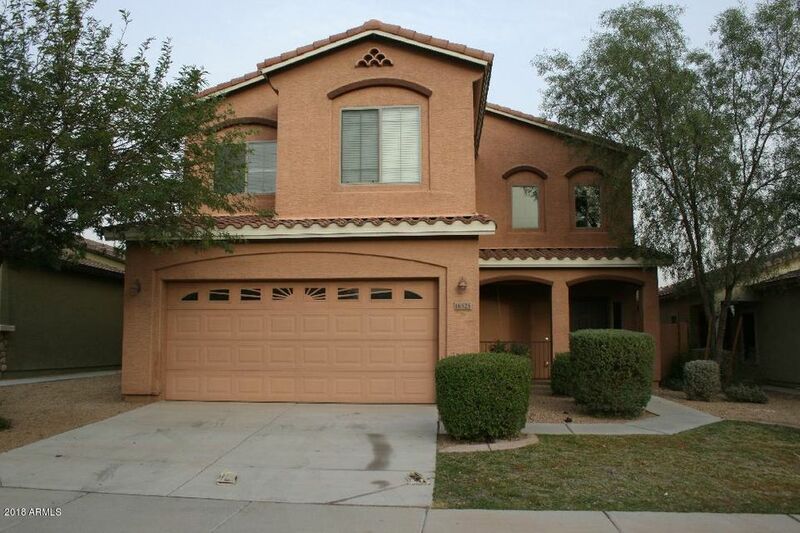 Large 3 bed 2.5 bath home with 2 tone paint in the great community of Surprise Farms. Nice open layout downstairs, kitchen with walk in pantry overlooking living area, laundry and a half bath. Upstairs is a large loft, 3 bedrooms and 2 full baths. Master bath has separate tub and shower with nice walk in closet. Nice Size back yard landscaped with trees, plants and grass.. Currently no showings without accepted offer. Tenants rights require proper notice.